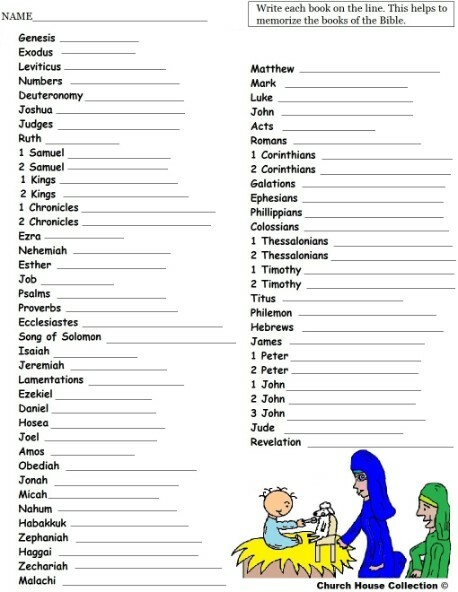 This is a printable list for you to print off. 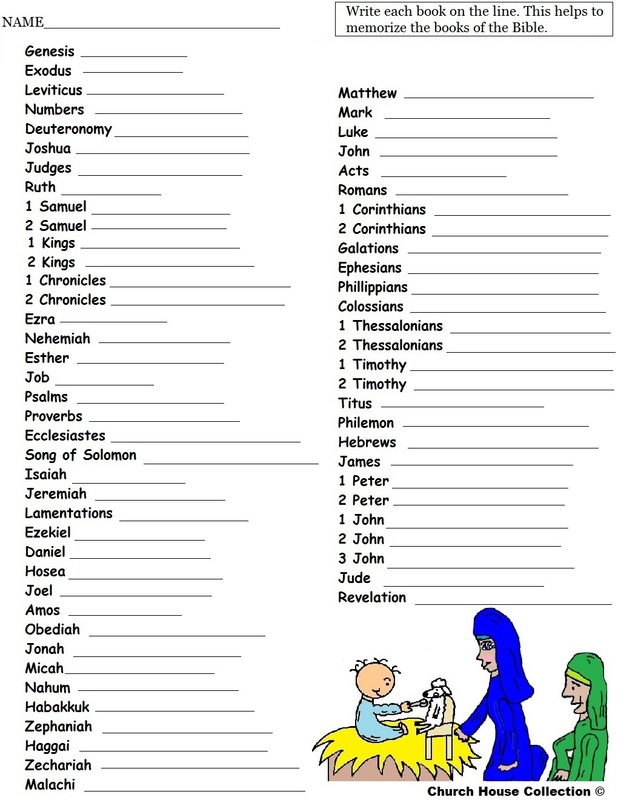 Let the kids write each book down on the line to help them to memorize the books of the bible. This is good practice so they can say the books by memory.